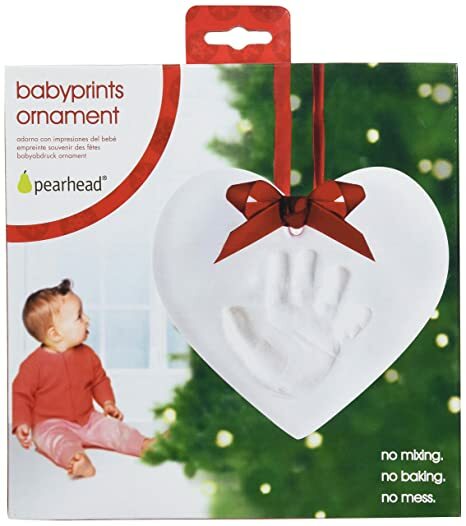 Having your own baby hand or foot print Christmas ornament hanging from a Christmas tree is a great heart-warming decoration. You will have your very own wonderful, personalized Christmas ornaments and a long lasting baby memory item. A baby print Christmas ornament is fun to make and it will make you feel so proud of your work. The pleasure of getting those cute little fingers on a permanent material is enormous. Just imagine how every time you look at the Christmas tree and that particular ornament will fill you with joy and make you smile. Your baby is a baby only for so long, so it would be really a shame not to use this time to create such a cute decoration. A hanging babyprint Christmas ornament would also be a great conversation starter for guests and relatives – they will probably have their own story to tell on the subject, and before you know it, you will have a perfect, relaxed Christmas atmosphere in your home. 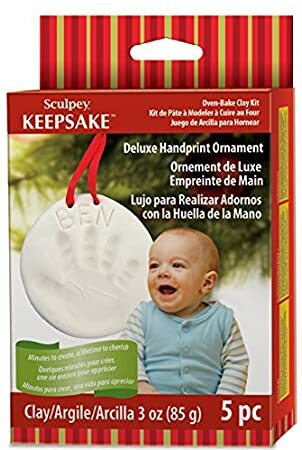 If you like the baby print ornament in the above image then you should know that you can easily make one yourself – you just need to get the hand & footprint ornament making kit and follow the instructions inside. You can choose between several ornament shapes: a star, a heart shape or a simple circle. The clay is soft and easy for rolling and according to other consumer experience it takes around 2 days to harden properly. It also has a nice smell – similar to marshmallow, according consumer reviews. The best thing about it is that you can have as many trial as you wish until you get the perfect baby print. If you are good at crafting then you will have no problem at all, otherwise you may have to repeat several times – but it is definitely worth it. Some users have experienced trouble with the shape making ring but others not – so I guess it really depends on personal skills. And you may even use another shape making object if you think you will get better results. 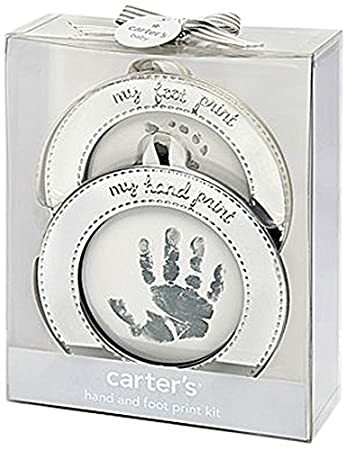 You will get instructions, so be carefully reading them and following the making of the baby prints ornament should’t be hard. 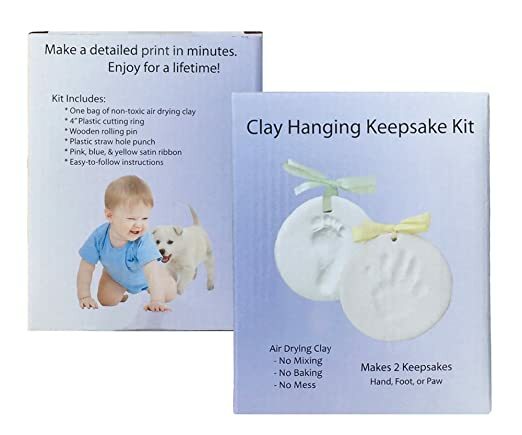 I guess the trickiest part would be getting the baby still – and it’s hands must be clean for not leaving stuff on the white clay. The final act of punching a hole for the ribbon and hanging it on a ribbon would be an amazing feeling! You really should not hesitate making such a great baby item whether for the holidays or not, it is almost a must for a newborn!